Long gone are the days of hoping your ideal customer will come across an advertisement you posted in a newspaper or magazine, or hear your jingle on a local radio station and contact you for more information. And aren’t we all thankful for that? Since the world digitized, we finally have the ability to track, measure and analyze our outreach efforts. We can now make personal connections with companies that need, or who may not even know they need, our services. Despite all the possible ways to analyze data, it’s hard to know which method will actually work. Some may say that a B2B outreach strategy is merely trial and error, and depending on your execution, it very well can be. But in a time where the average business simply doesn’t have the resources to waste on fruitless efforts, what is an outreach specialist to do? How can you make your customer understand the benefits of certain outreach methods over others? For customers who are accustomed to traditional methods of outreach, regardless of their effectiveness, it can be hard to convey the value of a digital B2B outreach strategy. Understanding the basics is a great place to start. Used in tandem with a direct mail strategy or on its own, email blasts are one of the most common digital B2B outreach strategies. Along with cost effectiveness and speedy distribution, all email campaign platforms have the tools marketers need to assess their efforts. Is a quick email all it takes? What if you are sending out dozens of emails to the ‘right’ customer but have yet to hear anything, from anyone – and it’s been weeks! Just stop for a second and think about your own email inbox, particularly your personal one. Unless you see something of personal interest – such as an email from a friend, an upcoming sale at your favorite outlet or a new, highly anticipated product release – it’s more than likely that you will skip over a generic mass email. I know I sure do, on a daily basis. Just like your content marketing strategy, your email blast must be engaging, authentic and informative. So before you pull your hair out asking yourself why no one has responded (even if they have opened your email), do a little soul searching and consider whether it’s possible that the recipients are just not interested in reading regurgitated content that in no way speaks to their needs. If you are at the point of wanting to give up on email blasts, please don’t back down yet. Where there’s a will, there’s a way. You just have to be willing to take the time to better understand your prospective customers and craft a message that resonates with them. Make sure you personalize the subject of your email. Make it irresistible. Capture their curiosity. Also, when creating your list of recipients, make sure you customize the title of the list with a unique name because your contacts will be able to see this. And if you really want to liven things up, add graphics, include a cool signature, and links to your website and social media profiles. Also sent in the form of an email blast, but containing entirely different content, newsletters are helpful from a branding standpoint. This is the perfect time to update your current and old customers about new products or breaking news, while offering industry commentary. With so many companies engaging in content marketing, it’s also not uncommon to see a variety of top monthly blog posts added to a newsletter or supplementing the above content. Like an email blast, visuals and great content are needed to keep readers from hitting the ‘Unsubscribe’ button. What kind of content are your customers looking for? Who are the influencers in their industry? Who or what company is setting the trends in your industry? How is your target audience interacting with applicable content? Likes? Comments? Shares? Considering how effective social media outreach strategies can be, it’s no wonder that full-time jobs are developed for just social media. But every great marketer knows that once the momentum gets going with a social media strategy, it must be propelled to move even further and fine-tuned along the way. Before anyone is willing to spend money on anything, they look to the Internet to answer their questions. If you can wonder about it, you can probably find an answer to it on an online forum. This isn’t to say that online forums should replace the advice of credentialed professionals, but why not take your professional advice to an online forum? Of course, you can’t give away everything, but you can provide a thorough enough answer to get them interested in who you are, what else you may know, and how that can benefit them. 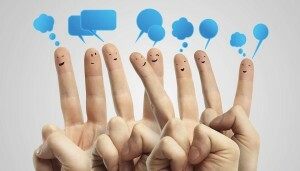 The more you participate, the more you will stand out in your online community. So whether it’s LinkedIn to provide professional advice, Quora to answer just about anything, or a student forum to help others make decisions about their education, the possibilities are endless. Just make sure you are actually providing value to forum members and that you remain an active contributor in whatever forum you decide to join. You’re not there to sell yourself, however, the information you provide and the way you provide it, should do that for you. If you have the resources and time to execute a creative approach to outreach, you will probably experience a long-term impact. The best thing about a creative approach is that you can use any of the mediums mentioned above or combine it with a public relations strategy, where the activities of your company are carefully selected to improve its image. Examples include social corporate responsibility initiatives, connecting with industry influencers and inviting them to blog on your website and vice versa, connecting with journalists from applicable publications, attending industry events, and more. Follow up methods are entirely contingent upon the action, or lack of action, you take using the above platforms. For instance, if you initially reached out to a prospective customer through email, then you might try following up with the person’s most active social media account. Or, if you made initial contact through an online forum and you want to see if they are interested in continuing the conversation, you can reach out through email. Thankfully, the majority of these platforms provide metrics that you can use to make an educated decision about which method of follow up will be most effective. Simply put, there is no right or wrong way to follow up with someone. The important thing is that you do it; it’s a crucial part of the outreach process. Remember that outreach, like public relations, is all about building relationships. Are you at a loss as to how you can connect with your ideal consumer? Have traditional methods stopped working for you? Do you simply not have the time to make an effort? If so, Optimum7 can help generate leads through a personalized outreach strategy. Contact us today!